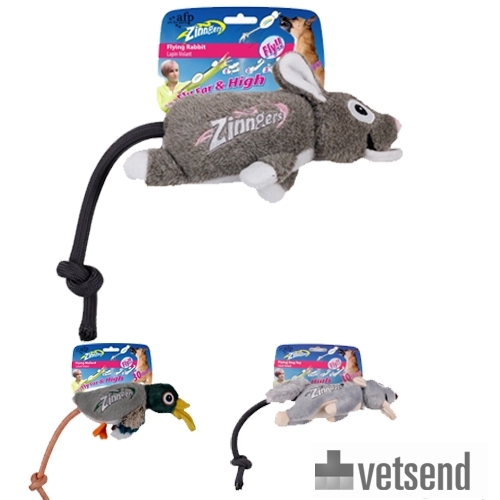 Plush animals from Zinngers provide entertainment when playing with your dog. Just aim and fire for your pet to chase. Plush animal Zinngers can be shot up to 30 metres. All For Paws specialise in designing stylish products for cats and dogs. The team behind AFP continually strive to design products that meet the needs of the animals, but also fit the different lifestyles of their owners. These are useful products with a story and a purpose. All For Paws products are available worldwide, and from Vetsend.co.uk. Zinngers are made from sustainable materials and will float on water. Just aim and fire for your pet to chase. Plush animal Zinngers can be shot up to 30 metres. Have you used AFP Zinngers before? Let us know what you think about this product.